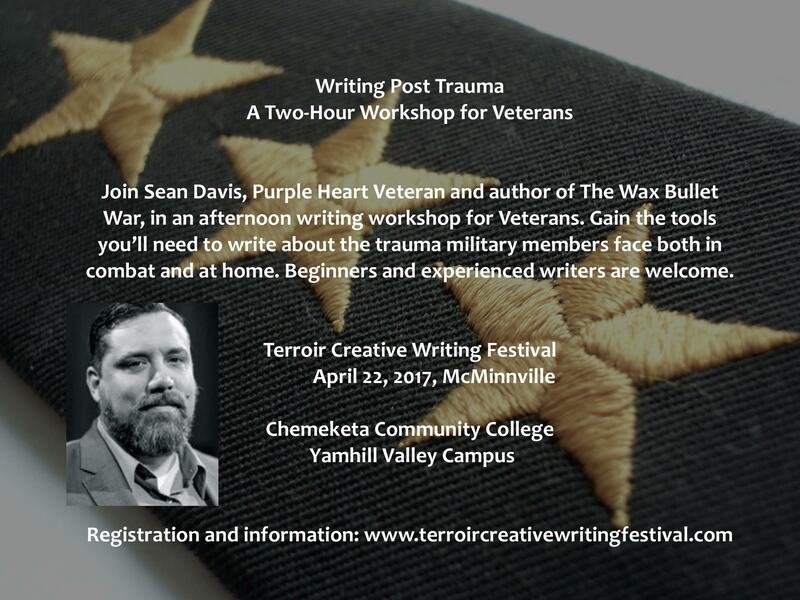 Do you know any veterans who write, or who would benefit from the writing process? We’re doing something really special at this year’s Terroir Creative Writing Festival. We’re hosting Sean Davis, a Purple Heart Veteran and author of The Wax Bullet War. Sean will be leading a workshop for veterans focused on trauma. We are trying to get the word out to as many veterans as possible. Will you share with your veteran friends and let them know about this workshop? Veterans receive $10 off the price of admission when they do early registration, so $40 for the all-day event. Registration is open now for the event happening April 22, 2017. Register today! ← Online pre-registration for TCWF2017 is open!